Langtang and Gosaikund Lauribina pass has been included in the Langtang National park. Langtang, a Himalayan valley, is inhabited by Tamnag and Tibetan (Bhote) people and provides a glimpse of mountain life. Gosaikunda is the site of several sacred lakes that area is uninhabited for the most part, but every August as many as 50,000 pilgrims crowded into the area for a festival by the lake that figures prominently in Hindu mythology. Louribina pass is over Gosaikunda the boarder over Helambu. Langtang, narrow valley situated 75 km north of Kathmandu, lies close to the Tibetan border. It takes about six to seven hour bus ride from Kathmandu to Shaybru base. Follow the Langtang Khola River finally arriving at Kyanjin Gompa at 3900m. Kyanjin Gompa is the furthest place in the valley where you will find lodges to stay.Gosaikunda is the site of several sacred lakes lying south of the major ridge between Helambu and the Trisuli river to the west. 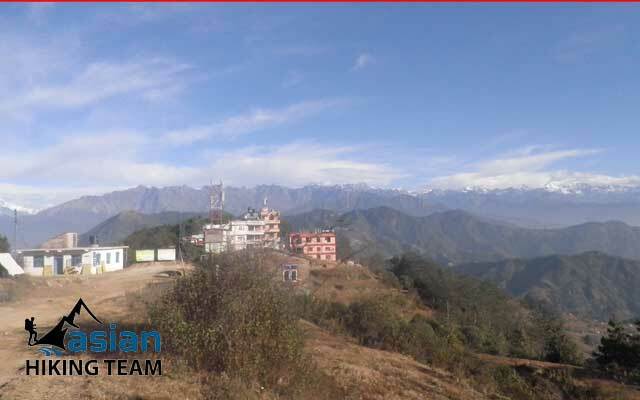 The region of Helambu lies just to the north of Kathmandu at an average elevation of 2000 meter. The Helambu region in inhabited by the Sherpa people. However, the Sherpas of Helambu observe different culture and lifestyle than the Sherpas of Khumbu region. The beautiful terraced landscapes and the rustic villages allure many tourists in the Helambu region. Asian Hiking Team itinerary starts from a Shyabru Besi trek to Langtang Valley than return the same way until Pahiro. 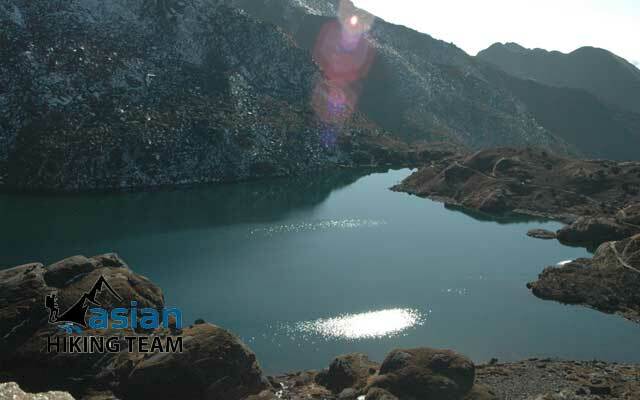 After that, the trail heading to Gosaikunda than pass the Lauribina, walk 2-3 hours from Gasaikunda. 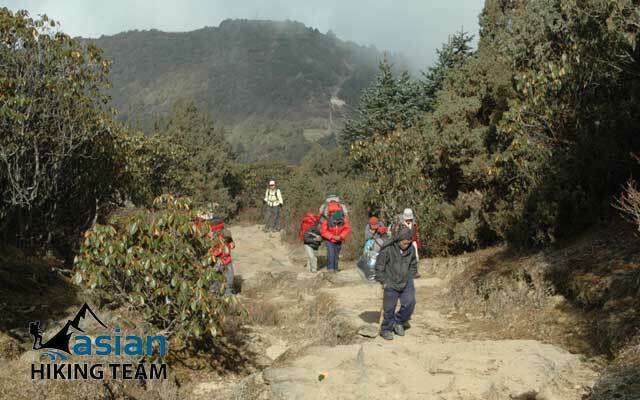 Continues walks to ride on Helambu side to reach Chisapani, passing the Shivapuri Nagarjun National Park, to end your trek in Sundarijal, drive 45 minutes drive to Kathamdnu. Either you can start from Suandrijl and an end trek in Shyabru Besi. Highlight of trekking: The best view ranges from Manaslu to Langtang, Sherpa and Tamang culture, Kyanjing Gomba where can found Yak Cheese, Gosaikunda where is plrigrimers visited, flora and fauna, beautiful lauribina pass. Day 01: Kathmandu to Syabru Besi [1400m] 7-8 hours (B/L/D). Day 02: Syabru Besi to Lama Hotel [2748m] 5-6 hours (B/L/D). 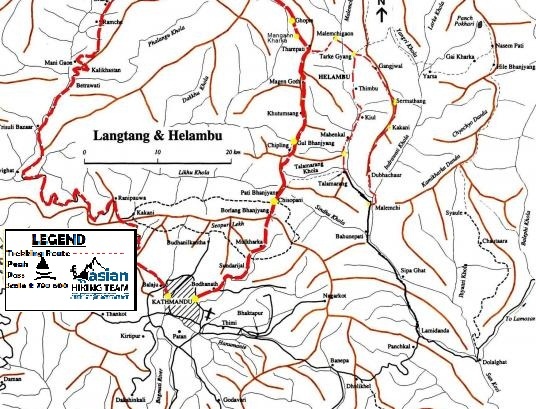 Day 03: Trek to Langtang village [3500m] 4-5 hours (B/L/D). Day 04: Trek to Kyagjin Gumba (3800m) 3-4 hours (B/L/D). Day 05: Rest day in Kyangjin Gumba (B/L/D). Day 06: Trek to Lama Hotel [2784m] 5-6 hours (B/L/D). Day 07: Thulo Syabru 2100m 4-5 hours (B/L/D). Day 08: SingGomba 3330m 4-5 hours (B/L/D). Day 09: Gosaikunda 4180m 5-6 hours (B/L/D). Day 10: Lauribina Pass – Tharepati 3510m 7-9 hours (B/L/D). Day 11: Kutungsan 2470m 3-4 hours (B/L/D). Day 12: Chisapani 2175m 5-6 hours (B/L/D). Day 13: Trek to Sundarijal 4 hours and drive to Kathmandu 45 minutes transfer to hotel (B/L). Shivapuri Natioanl Park - permits; Fees. Accomodation and Meals in Kathmandu. Day 01: Kathmandu to Syabru Besi [1400m] by Bus/Jeep (B/L/D). Day 02: Syabru Besi to Lama Hotel [2748m] (B/L/D). 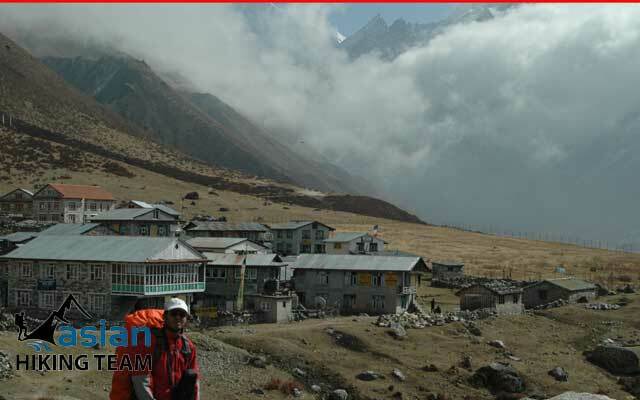 Day 03: Trek to Langtang village or Mumdu (3500m) (B/L/D). Day 04: Trek to Kyagjin [3800m] (B/L/D). Day 05: Rest day in Kyangjin as well as explore upper Langtang valley (B/L/D). Day 06: Trek to Lama Hotel [2784m] (B/L/D). Day 07: Lama Hotel - Thulo Syabru: 5-6 hours (B/L/D). Day 08: Thulo Syabru- Shin gomba: 3-5 hours (B/L/D). You take the broad trail climbing up to Dimsa village and the trial continues less steeply, through rhododendron, hemlock and Oak forests to Shin gomba. 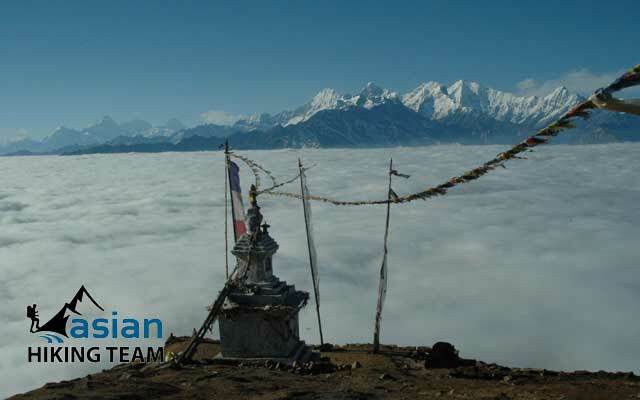 On the way of your trek you will see fantastic views of Langtang Himala and langtang valley. Shin Gomba is another popular place for Cheese. Overnight in Shin gomba (3,330m/10,925ft). Day 09: Shin gomba- Gosainkunda: 5-6 hours (B/L/D). The trail ascends smoothly through rhododendron covered point to the top of the rim and through a forested area. The area in-between Shin gomba and Laurebina Yak is a sanctuary for the red panda, an endangered species that the Nepalese call cat bear. You return to the ridge path and climb a wider route through alpine country to arrive at a Gosainkunda. Explore around the Lakes and overnight in Gosainkund (4,460m/14,632ft). Day 10: Gosainkunda- Tharepati: 6-8 hours (B/L/D). Today is a bit challenge day; the trail is climb, rough and crosses moraines. Passing three more small lakes, the trail ascend and cross Laurebina La (4,609m/15,121ft) after the pass, the path down to phedi and you continue walk up and down throughout crossing a rocky hill with pine, rhododendron trees. Overnight in Gopte (3,440m/11,286ft), after Gopte we continues walk to Tharapati. Day 11: Trek to Kutungsan (B/L/D). After breakfast start to your trek to Kutungsan (2470m) 4 hrs. All the way up and down to pass local village, Jungle and the hidden valley. Overnight in Tea house. Day 12: Trek to Chisapani (B/L/D). Trek to Chisapani (2175m) 6 huors. We can relax with Mountain View range Annapurna Manaslu- Ganesh Himal- Langtang. Chisapani mean “cold water” Overnight Tea house. Day 13: Chisapani to Sundarijal- Kathmandu (B/L). Today is free or last minute shopping for souvenirs or gift to your family, friends or relatives until your departure flight/drive or to commence any extra trips or activities you may have booked with us. If departing, you'll be transferred to the International Airport for your departure flight schedule to your onward destination.